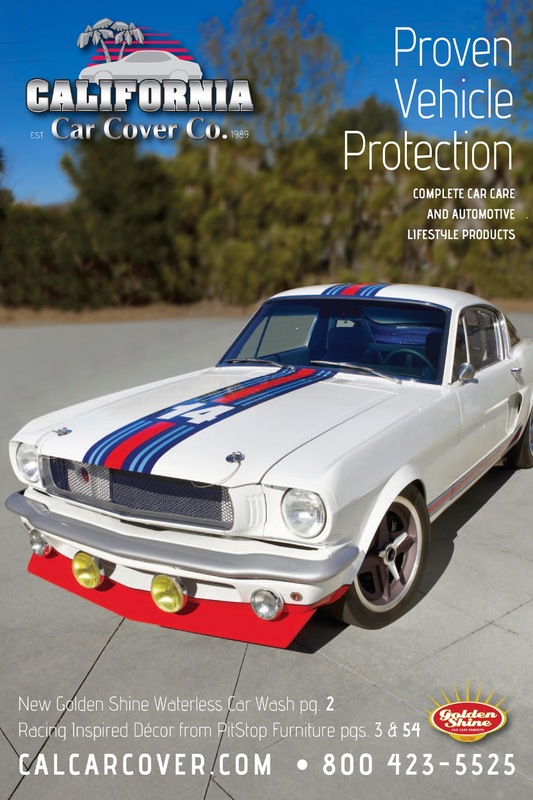 For our March 2013 California Car Cover catalog we featured the Martini Mustang T-5R. 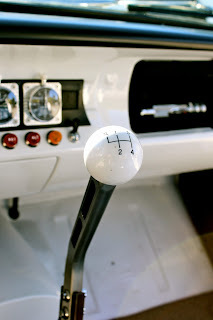 You might recognize the vehicle from our video and photo coverage at last year's SEMA Show. It is an impressive vehicle and we were glad that Steve Strope and the staff at Pure Vision could participate in another catalog photo shoot. Steve and the staff at Pure Vision build amazing performance muscle cars. 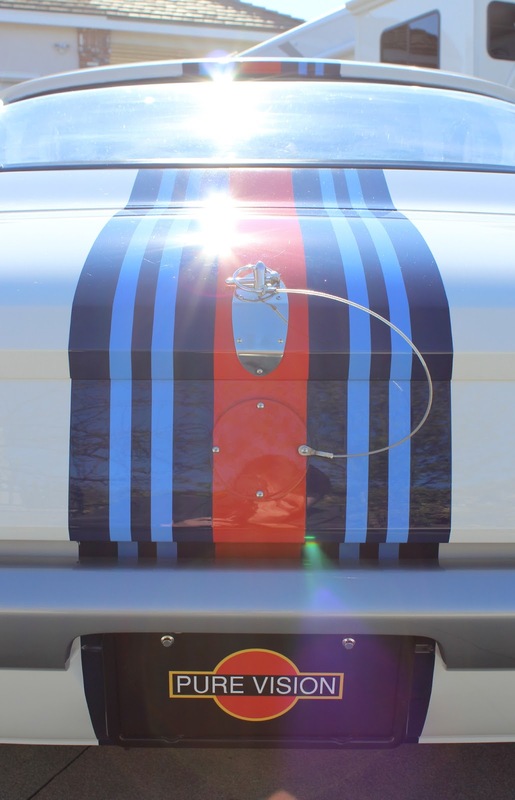 In most cases, with the exception of custom wheels, their vehicles have a tradition exterior. But underneath is where you find the signature style of Steve and Pure Vision. 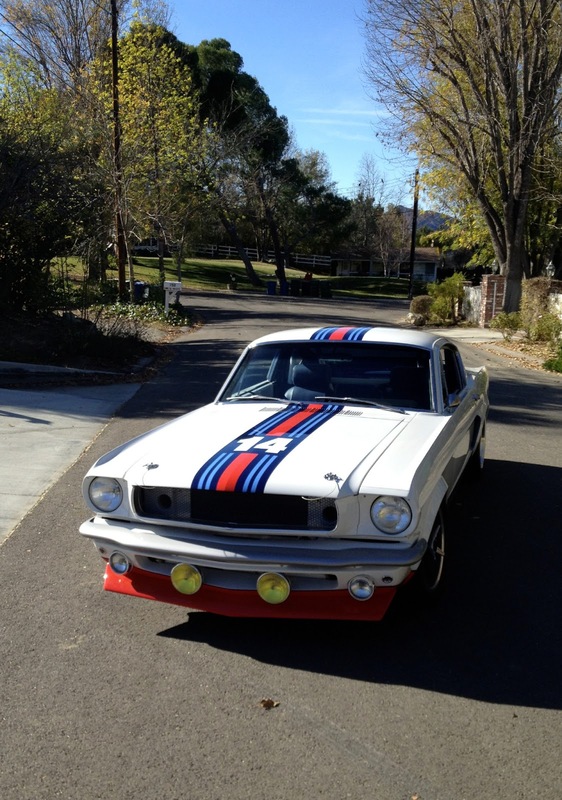 The Martini Mustang is no exception. 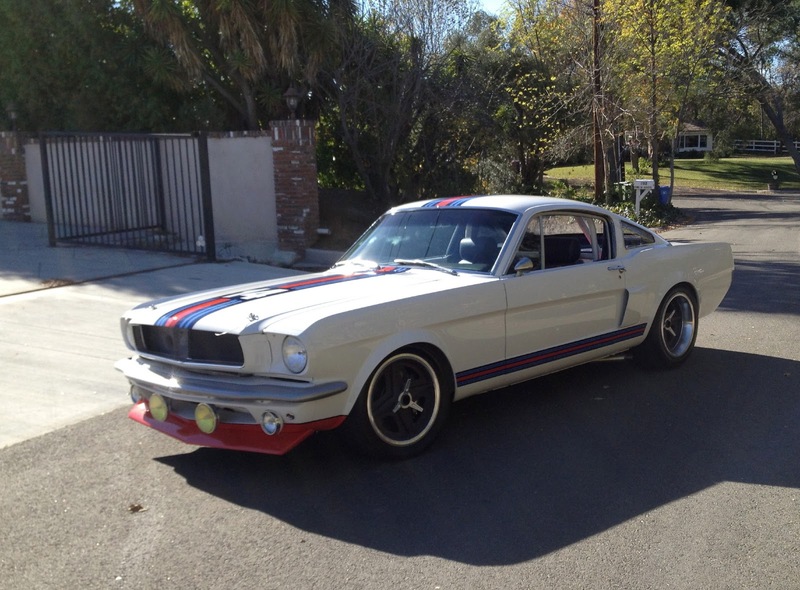 The Martini Mustang was inspired by European road racing of the 1960's. 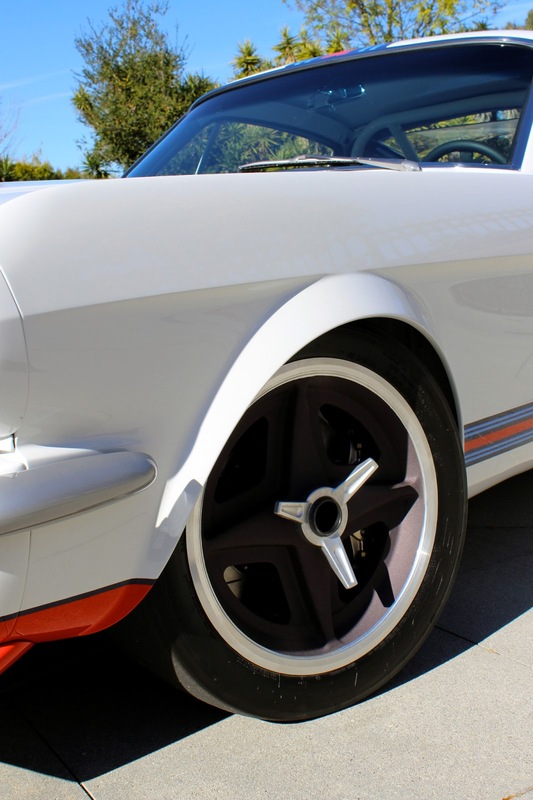 The T-5R is Pure Vision's answer to what if Ford sent a pure road racing Mustang to Europe during that time period? 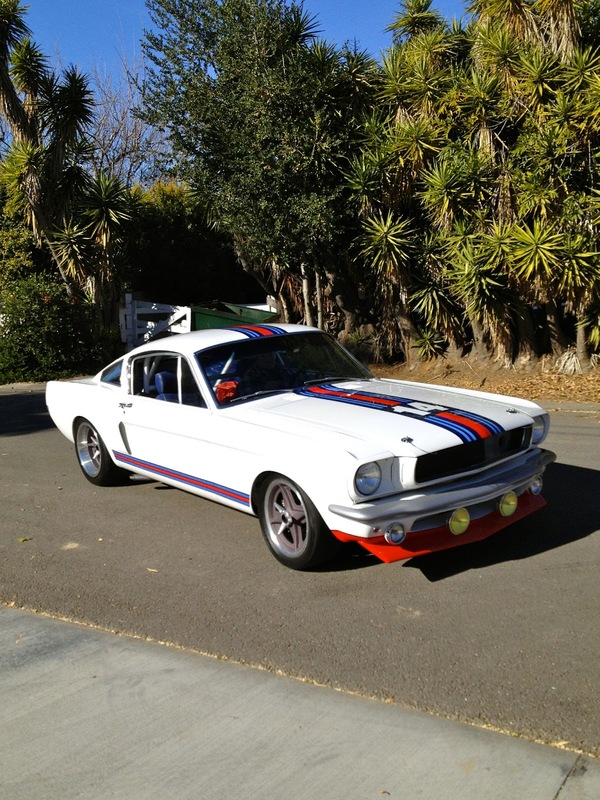 The Martini Mustang features many lightweight components and performance upgrades all commonly find in the 60's not today. 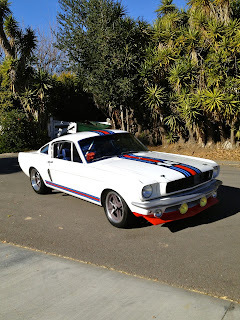 The body of the Martini Mustang is fiberglass and all windows and glass were replaced with plexiglass. 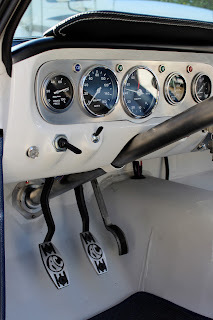 The interior was designed for road racing. Sport seats, timers and toggle switches highlight the dash cluster. 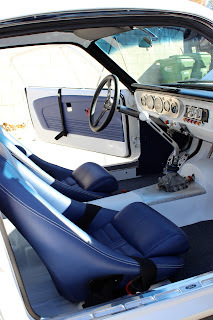 Interior work was completed by Pure Vision and Eric Thorsen Upholstery. The driver runs through the gears using a lightweight CR Racing 4-speed transmission. 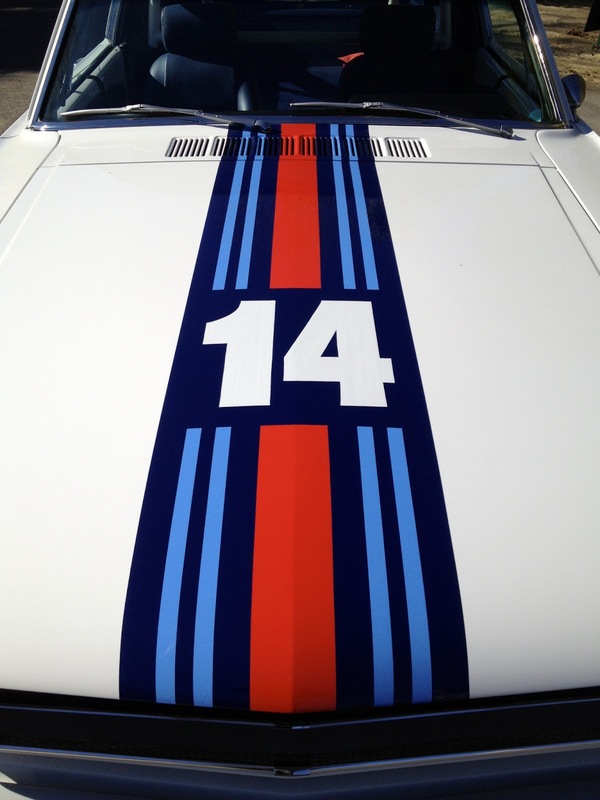 The Martini Mustang is powered by a Ford Indy style Ed Pink racing engine. The 300 c.i. 4-cam engine features an aluminum block and fuel injection. Custom wheels by Evod and paint by Mick Jenkins highlight the exterior of the T-5R. For more information on the Martini Mustang, please visit the Pure Vision website or Facebook pages. 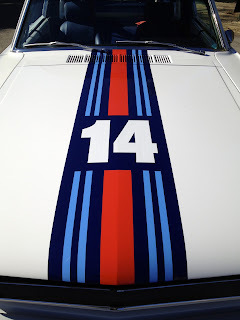 Of course, at the photo shoot we had to outfit the Martini with a custom fit California Car Cover Superweave car cover and some of our Golden Shine products for the shoot. 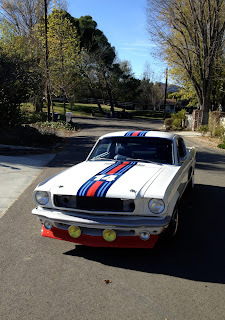 Here are some cool photos from the California Car Cover Instagram feed from the photo shoot. Follow us for cool car photos from all over the country. Finally, here is the March 2013 California Car Cover catalog cover. Thanks again to Steve Strope and Pure Vision for participating in the photo shoot. Follow along with California Car Cover on Facebook to see all the photo shoots and events we host.